Super ex soviet union interior decorations! They managed to preserve spirit of that times! Clean room with good appliances. Good bed and bed linen. Easy check in and check out process. Cheep restaurant. Spacious room. Kettle and fridge in the room. The price was good and location was in walking distance to everything in town. 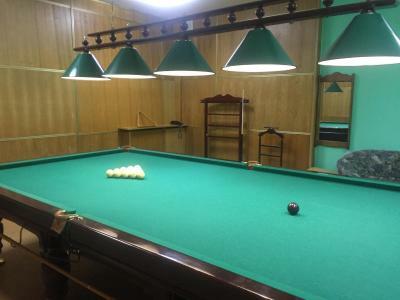 The value was good and it is in a good location. 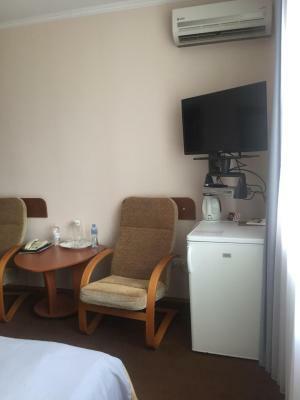 They cleaned the room each day which is not always typical for Ukraine. Lovely decor. Friendly staff. Spacious clean room. Close to town and a view of the river. Staff spoke some basic English. Personnel was very helpful and friendly. 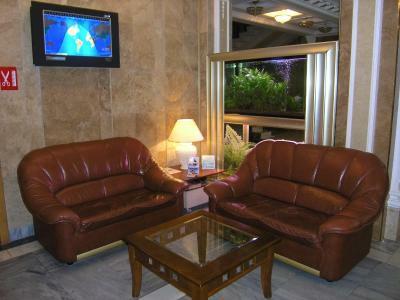 Lobby was very clean and the room was in good repair. I would stay here again. Beautiful hotel for affordable price. I really enjoyed the restaurant too. My best experience in Ukraine. 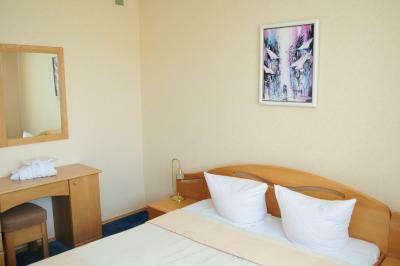 This hotel is quiet, just outside of the city center, so everything is within a 10-15 minute walk. The staff are friendly. 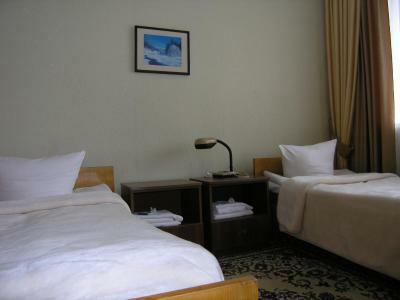 very nicely located, large room, comfortable hotel. Very nice new mattress. Great rooms for groups or families, due to the 3 or 4 person room options. Great view of Dneper River, great location. Nice staff. Good room. Good deal on shuttle to the airport. 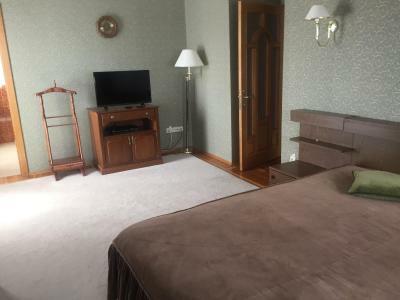 Dnepr Hotel This rating is a reflection of how the property compares to the industry standard when it comes to price, facilities and services available. It's based on a self-evaluation by the property. Use this rating to help choose your stay! 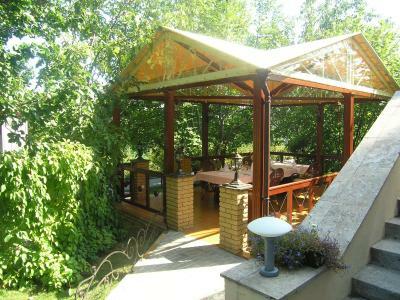 This hotel is located in Cherkasy city center, a 5-minute walk from the Dnieper River. 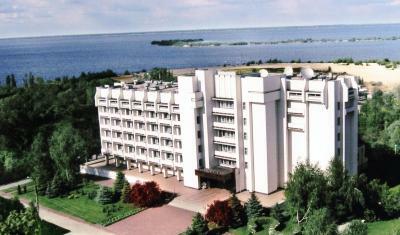 All rooms at the Dnepr Hotel are air-conditioned and feature a balcony with great panoramic views. 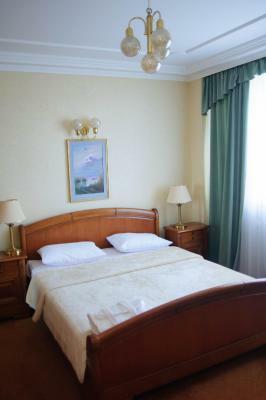 Rooms at the Dnepr Hotel Cherkasy are warmly furnished with classic furniture and cozy carpet. All rooms include satellite TV, a refrigerator and a private bathroom with bathtub and shower. 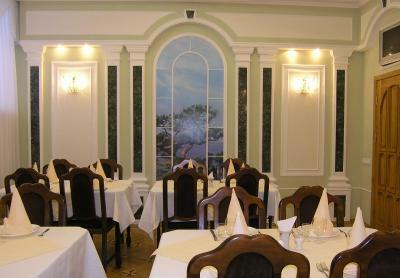 A buffet breakfast and a selection of European dishes are served in the elegant restaurant with its solid wood furniture. 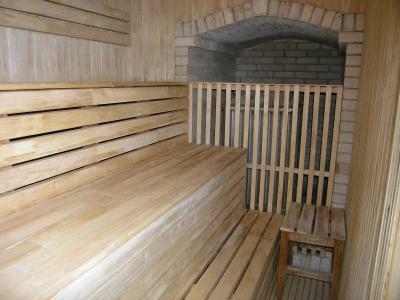 Guests are also welcome to relax on the terrace or in the hotel sauna. 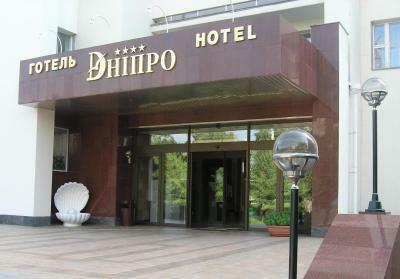 On-site parking can be booked at the Dnepr Hotel. 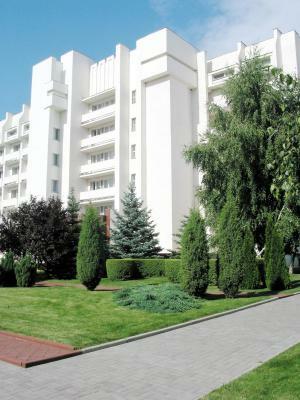 The 24-hour reception can arrange a shuttle service to Cherkasy Train Station, 3.1 mi away. When would you like to stay at Dnepr Hotel? 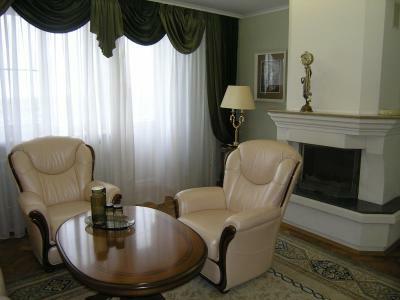 Warmly decorated room with classic-style furniture. Also includes satellite TV and a private bathroom with bathtub and shower. Private parking is available on site (reservation is needed) and costs UAH 30 per day. Featuring a seating area and a very spacious bedroom. Featuring a living room with seating area, as well as a separate bedroom. This twin room features a balcony, cable TV and electric kettle. This single room features a balcony, mini-bar and electric kettle. 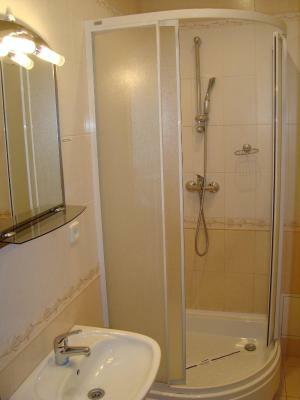 The bathroom is shared for a lodging unit. The room consists of 2 separate rooms in a block. This apartment features a balcony, air conditioning and cable TV. House Rules Dnepr Hotel takes special requests – add in the next step! Dnepr Hotel accepts these cards and reserves the right to temporarily hold an amount prior to arrival. Breakfast must be improved. Location - downtown (city centre), but very quite, no noise - excellent. Good hotel, clean room, great breakfast. They don't know really how to manage when you arrived to the hotel without reservation. 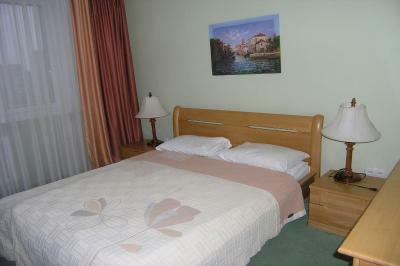 Nice and warm bed, everything is clean..
It’s a nice, comfortable hotel, good for short stays. We stayed in winter and the air in a room was too dry. My wife had bad sleep. Restaurant waitress was not pleasant, bad haircut and not cared-for look. The food in restaurant is mediocre, though very cheep! :) Dirty tablecloth in restaurant. Poor sound proofing between rooms. I heard TV, talking and loud snoring all night from the next rooms. Bring earplugs is you are a light sleeper. There is a very old TV in the room. Only Russian / Ukrainian speaking TV channels. There are no English speaking channels. Overall the room was quite good. You have two choices - a room with a balcony facing the street and the front of the hotel, or a room with no balcony, but it has a nice view towards the Dnepr River. (Always my choice here). The room size was good. It included a fridge, kettle, a small amount of cups, plates, forks ; knives. 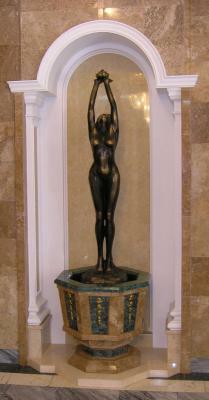 The hotel is an old soviet style hotel. Furniture is clean and in good condition. 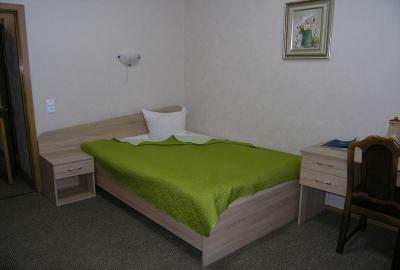 The bed is a a proper queen size bed - not 2 single beds pushed together, like other hotels in Cherkasy. The mattress was vert comfortable. Housekeeping cleaned the room very nicely every day. Heat in the room was good. Windows open for fresh air. 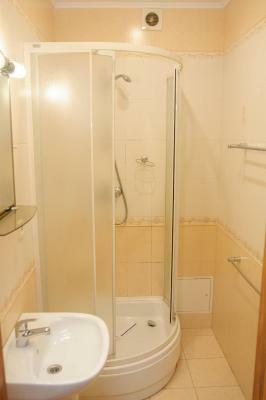 (There is also an air conditioner unit in the room for warm summer months) Always lots of hot water. Good water pressure for shower. WIFI was good anytime of day for my stay. 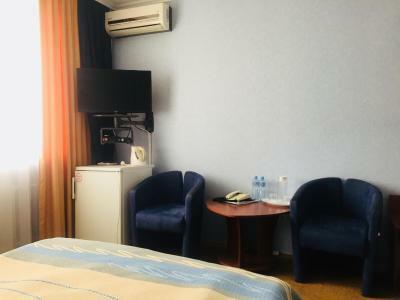 (2 options to connect: Dnepr Hotel, or a public system called McLaut - you'll see the options when you connect) The room has double doors from the hallway, so the sleeping area is quite quiet. Note, there is no proper soundproofing between rooms; you can clearly hear the other rooms TV, talking, snoring - bring ear plugs. The reception staff is very friendly and very helpful. If you have any requests, just ask them. 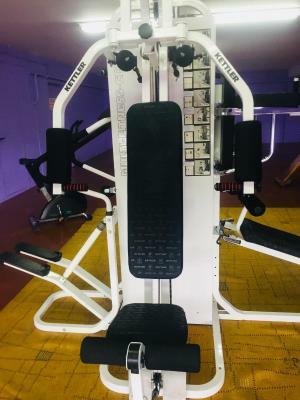 The hotel has a small gym which is more than enough to maintain your daily workout. There is a restaurant / bar in the hotel, but I took all meals outside - everything is close to the hotel.The hotel is a 5-minute walk from Khreschatyk City - this is an outdoor shopping / recreational area with cafes, restaurants, hookah bar, a food store, cash machine, entertainment. 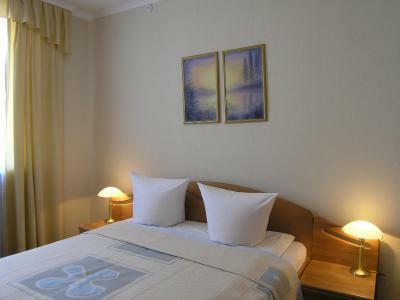 The hotel is a 10-minute walk from Shevchenko Blvd, the main pedestrian street in Cherkasy. Hotel has a good location! The bed was not comfortable. Was like sleeping on the flood and the tv did not work. 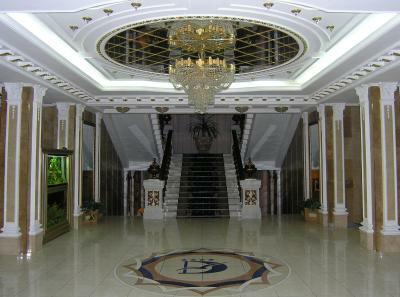 The hotel is very much in a soviet style and the staff were not helpful at all. There was supposed to be a spa and pool but I saw no evidence of this and there was no information about it. The parking was terrible. It was near impossible to get into the tiny lot and there were only two or three spots out front. The kaidnedd on the front desk.. The room was freezing cold, little information in english, limited food selection available, inconsistent wi-fi or poor signal, tv not working in room, no extra toilet roll, kettle, but no tea/coffee facilities in room. 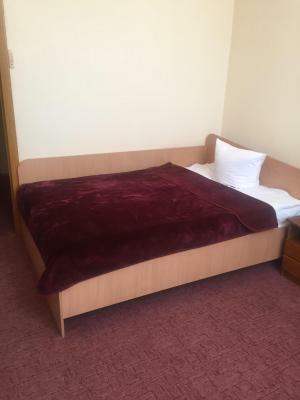 Pleasant decor, good location, generally very clean, some staff spoke English, reasonable price, comfortable bed. ATM available. Rooms are very cold. Its an old hotel - no proper heat. I booked a "Junior Suite" with a "Double bed", and I got 2 single wooden bed frames pushed together. You couldn't sleep on it as a Double bed, because there were wood frames down the middle between the 2 beds. Quite funny actually. But very uncomfortable. The staff and security were friendly. Cafe staff as well. Included breakfast was basic, but enough to start your day. Showers had good supply of hot water with good water pressure. The room had a bath tub which was nice. The rooms were kept very clean. There is a nice cafe inside the hotel - pricey but the food was quite good. It's your typical old soviet style hotel. Added features, a German style restaurant on the 4th floor, and a strip bar on the second floor, with dancers willing to come to your room.